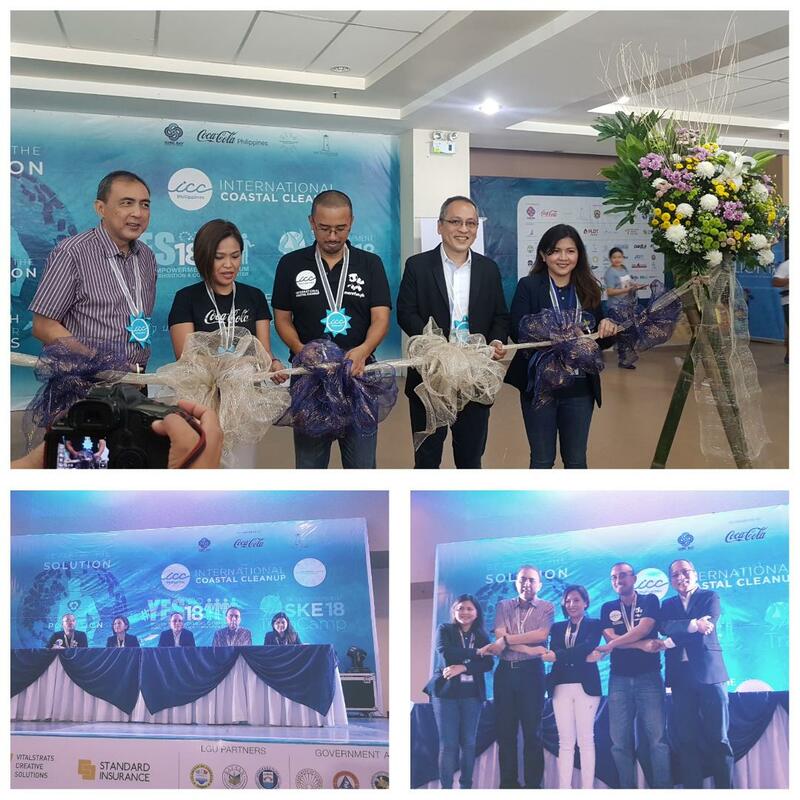 It was my privilege to attend the ICC Environment Summit last September 27 and 28, 2018 at the Subic Bay Exhibit and Convention Center (SBECC). Here we should be part of the solution not part of the pollution. Also there is an increasing need to address this issue of marine litter and beach cleanup alone is not enough. The highlight of this continuous effort is the ICC ENVIRONMENTAL SUMMIT, a supplement to the annual beach cleanup was discussed during the 2 days summit. The International Coastal Cleanup (ICC) is a global movement celebrated every 3rd Saturday of September yearly and being participated by more than 100 countries across the globe including the Philippines, as we rally the community towards a common goal of collecting and documenting the trash littering the coastline. Philippines ranked #1 last 2017 with the most number of volunteers, but on the contrary, the country is ranked #3 as the biggest dumper of plastics in the ocean. According to the Ocean Trash Index, the world's largest item-by-item, location-by-location database of trash found in near-shore environments as a result of the data submitted by all the volunteers of ICC, plastic debris remains a growing concern in the marine environment, and the top five most commonly collected items are: 1) cigarette butts, 2) food wrappers, 3) plastic beverage bottles, 4) plastic bottle caps and 5) plastic grocery bags, respectively. The trash data collection is important because it will help governments, manufacturing industries, businesses and individuals in making smart solutions to the marine debris problem. Since they participate for this year’s International Coastal Cleanup activity last September 22, 2018, they encourage everyone to participate in the data gathering efforts so they can have a better assessment of the trash in their area. The launching of the Youth Empowerment Symposium (#YES18) they focus on empowering their youth by tapping into the best practices of top Filipinos and global organizations, inspiring our next generation of leaders to follow-suite and provide the tools that they will need to continue our quest towards a more sustainable future. Together, they can come up with viable solutions for pressing environmental matters and approach new, peaceful and constructive ways of problem-solving. The new generation- millennials, the most powerful force of our future. lf we want to change the world for the better, there has to be a change in people’s behavior. This year's theme is “Change Heroes” a challenge for the youth to be an instrument for change, to spark social consciousness formation towards social change, changing the way we view the world, unleashing their inner heroes, and become better builders of our nation. 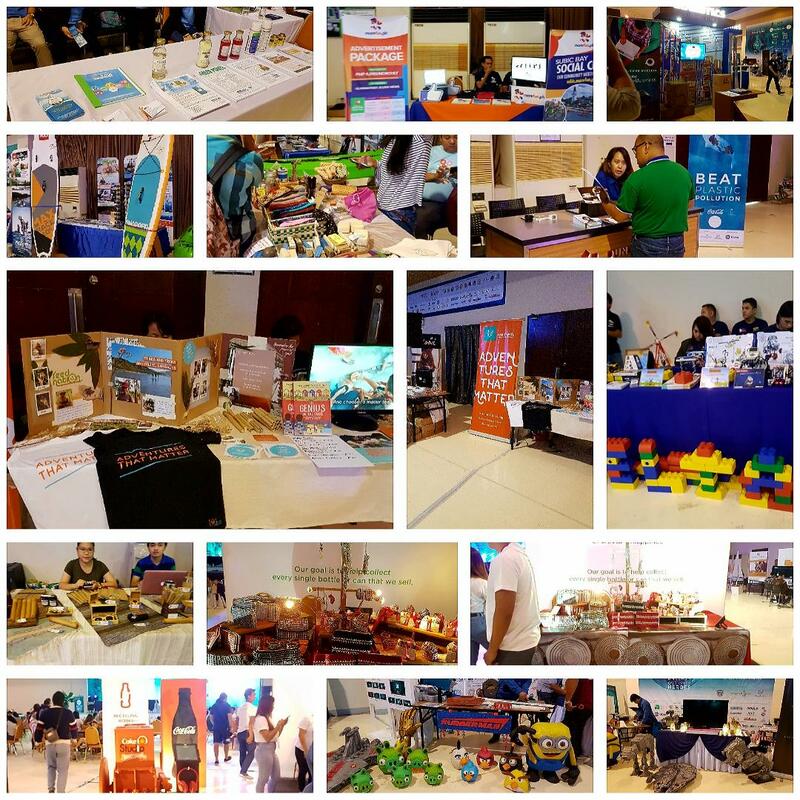 This event is organized by the Lighthouse Marina Resort Legacy Foundation, Make a Difference (MAD) Travel and the Philippine Coast Guard Auxiliary; co-presented by Coca-Cola Philippines, Subic Bay Metropolitan Authority, The Lighthouse Marina Resort and Globe Telecoms as the official connectivity partner; incooperation with the Philippine Alliance for Recycling and Materials Sustainability. Subic Bay Freeport Chamber of Commerce, International Yachting Fellowship of Rotarians, Miss Scuba Philippines, UP Marine Biological Society, Dakila, Seed4com, and Oceana Philippines; supported by Provincial Government of Zambales, Municipal of Olongapo, and Provincial Government of Bataan, Department of Environment and Natural Resources, National Coast Watch Council, Department of Tourism, Philippine Coast Guard, PNP Maritime Group. Department of lnterior and Local Government, and the National Youth Commission; sponsored by Ayala Harbor Point Mall, Anvaya Cove, PLDT Subictel, Think + Talk Creative Communications, VitalStrats Creative Solutions, Standard Insurance and Nanofixit. We always experience the unpredictable weather, you never know when it’ll rain or when it’ll actually stop, it always pays to be prepared. Again, we always prepared to be exact and be rain ready. Being always prepared doesn’t mean that you have to be walking around with extra stuff in your bag. You just need to simplify your gear with multi-purpose items that are not just convenient, but also very practical. 1) Waterproof outerwear: jackets are great for layering and keeping you warm but waterproof jackets also save you from the hassle of getting wet in case the rain comes m. Waterproof jackets will provide you with ample protection from the rain even when you don’t have an umbrella. Check out jackets like the Inslope Rain Jacket and Repscale Rain Jacket, with the M Select XDRY technology designed for extreme weather conditions, are lightweight and can be easily packed in your everyday bag. 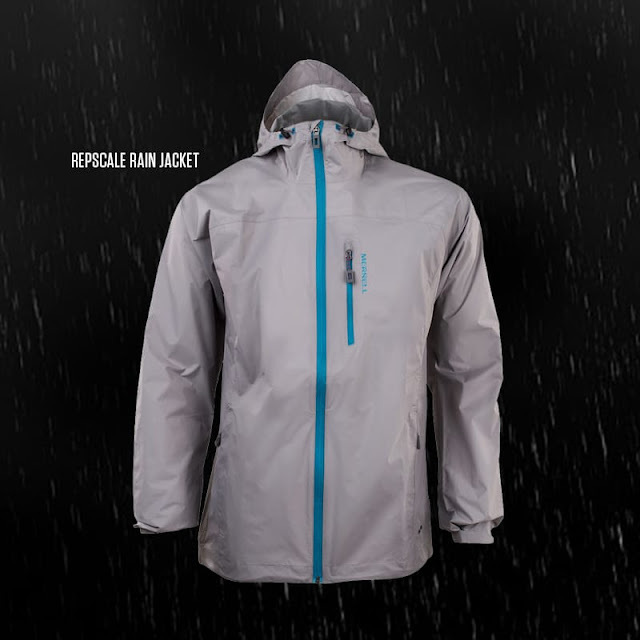 Stay nice and dry with a waterproof jacket. 2) All-weather shoes: rain or shine, your shoes should be able to give you the support you need. Sandals are great for hot weather or strolling in the beach, leather shoes look great in school or in the office when you need to look more formal, sneakers are very comfortable for strolling in the mall or in the park but for the rainy season, you’ll be needing more protection than these shoes. Since you can’t really predict when the weather will change during rainy season, comfortable and stylish all-weather shoes are the best way to go. You’ll go through your day hassle-free and keep your feet nice and dry! The Moab FST 2 is waterproof, non-slip, and sleek, great for both hikes and everyday commutes. 3) Waterproof your stuff: always remember, when it doubt, be practical. There’s nothing wrong with being OC and “waterproofing” your gear when you’re out and about this rainy season. Making use of waterproof pouches, even Ziplocks for your gadgets and other important items in your bag will help give you peace of mind that your valuables are well protected even if it rains. Waterproof bags are also worth checking out in case you want added protection. 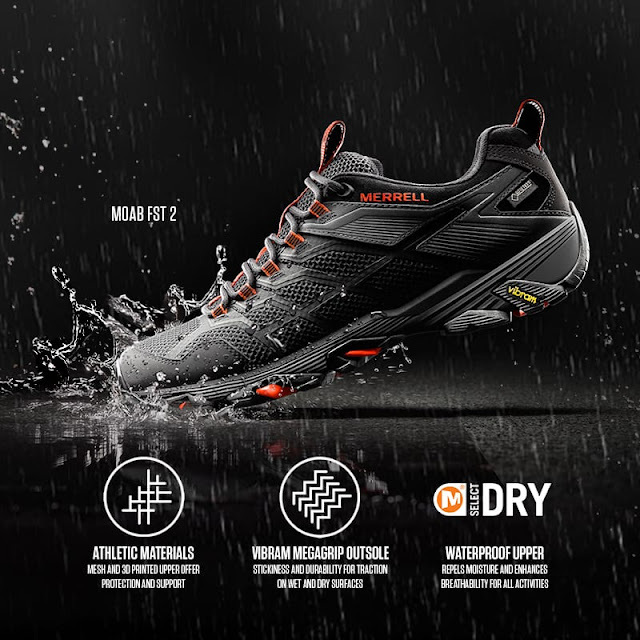 Stay dry with waterproof shoes from Merrell. 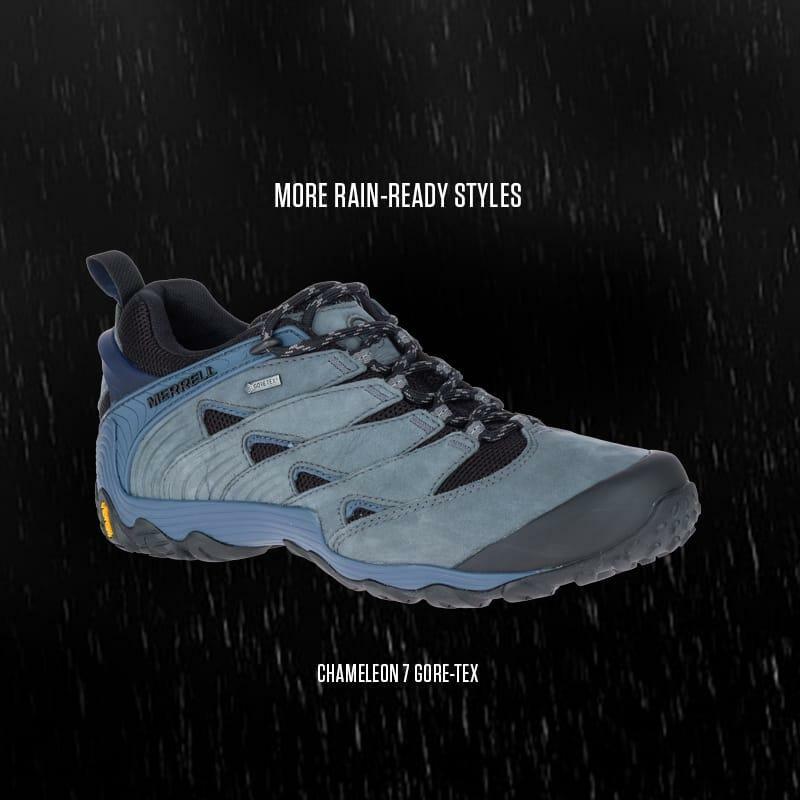 For more gear made for the outdoors, visit online at www.merrell.com.ph and Merrell stores at Glorietta 3, TriNoma, SM North EDSA Annex, Market! Market!, Robinsons Place Manila, Festival Mall, SM Dasmarinas, Marquee Mall, Harbor Point, SM City Cebu, SM Iloilo, SM City Davao, SM Lanang, Abreeza Mall, Gaisano Mall Davao, LimKetKai Mall, and Centrio Mall, select specialty & department stores. Visit Merrell on Facebook at www.facebook.com/MerrellPhilippines and follow us on Twitter and Instagram: @Merrell_PH. 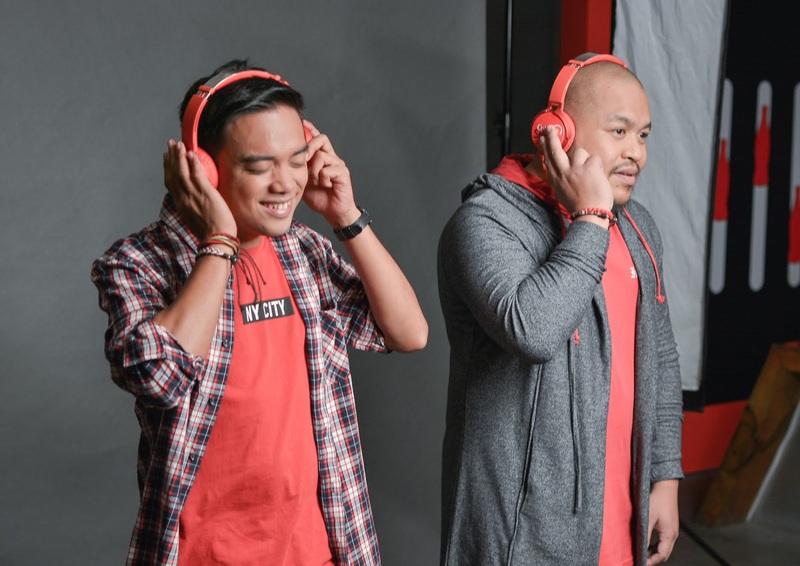 Stay Woke for the dynamic energy collab by Quest & Juan Miguel Severo for Coke Studio Season 2 Homecoming. Since the Coke Studio Season 2 Homecoming started I never miss to watch it. 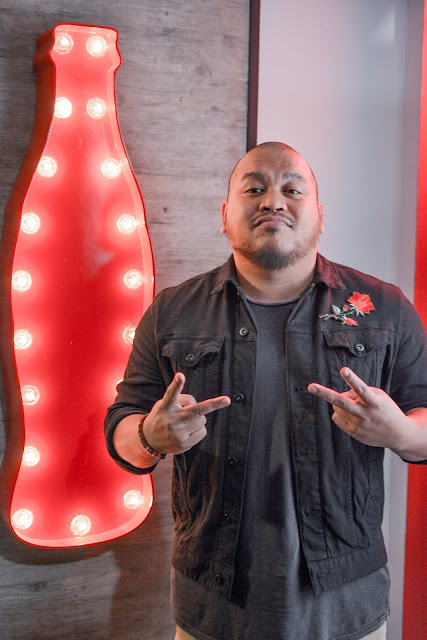 Just like the rapper Quest, they’re only words goes the refrain of an old pop song and spoken word pioneer Juan Miguel Severo wield words as mighty weapons. And their love affair with words began very, very early. Quest discovered his talent for rap with his church but then moved on to more mainstream works. 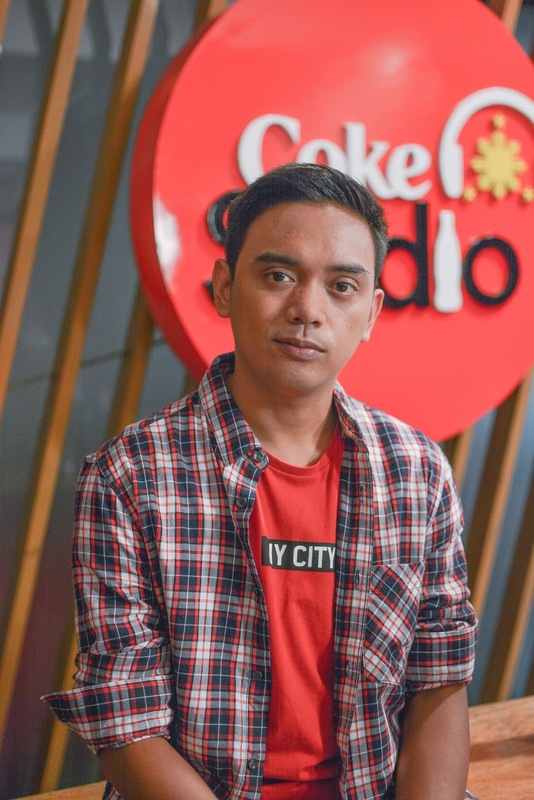 Recognized as an eminent urban storyteller and a “microphone revolutionary’ Quest’s song “Sige Lang” was named in 2012 as the official song of Gilas Pilipinas, the national men’s basketball team. Juan Miguel Severo began performing his spoken word works in university venues and smaller clubs until he was given a role in the Jadine teleserye On the Wings of Love and he brought spoken word to the world of television and thus, more popular recogntion. Watch how Quest and Juan Miguel Severo collaborate for a refreshing kind of music that celebrates their own genres in the second episode of Coke Studio. Catch it every Sunday at 11:15a.m. before ASAP on ABS-CBN or on www.youtube.com/CokeStudioPH. Finally here the limited edition Keds and Kate Spade New York Bridal Collection. Everybody knows that one of the hardest parts of wedding planning is finding the perfect shoes to wear. It’s the pair that you will use as you walk down the aisle, so all brides will agree that it should be special. After a long wait, brides can now celebrate in style and comfort with the Keds® for kate spade new york Bridal Collection. Whether you're looking for the something classic, something new, something shiny, or something blue to use on your big day, this limited edition collection has you covered! Initially released as a 7-piece line during the exclusive online pre-selling at the Keds webstore, there's more reasons to celebrate because 2 elegant styles have been added. With gown-worthy styles and dance-all-night comfort, these chic sneakers can be worn for a bevy of bridal occasions: by the bride on her wedding day, at her rehearsal dinner or engagement party, or by bridesmaids on the big day. From a jewel or pearl bedecked Triple Decker to the ever-popular white and cream glitter styles in the Champion, there is a design and silhouette for any type of bride. You can also go for a quaint and classic White Champion embroidered in a print called Dancing Dot if want something playful. Slightly more minimal styles include the Triple Decker with Pearlized Foxing and the Champion in Pearlized Leather for that understated glam. One of the new addition to the collection is the Triple Glitter for added height and sparkles. Say "I do" to the perfect pair of wedding shoes from Keds. Choose between canvas, glitter and leather sneakers for a little extra style on your special day. 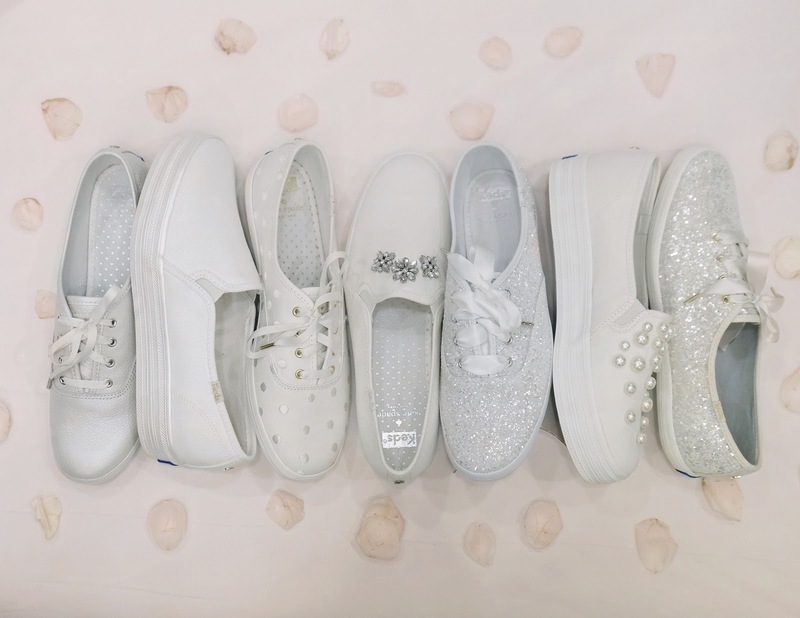 Shop the exclusive Keds x kate spade new york Bridal Collection in Keds stores and online now before it runs out!